Review five different books that teach clinicians and parents how to use play therapy to develop long-term attachment, how to address attachment disorders, and the tools available to support your practice. “Colors help kids put words to their emotions. 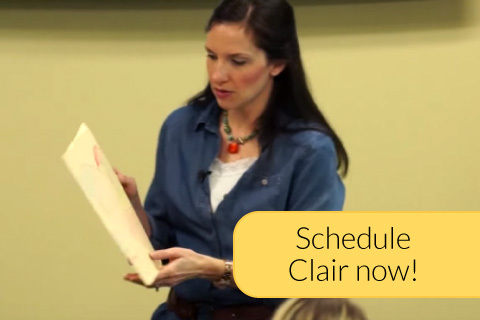 Clair does a great job on helping a child learn about their emotions and allows the therapist and caregivers to understand more how the child is feeling.” >> Read more! A 6 month commitment is requirement for all group and individual supervision. Group meets once per month. Registered Play Therapy Supervision to receive your RPT (50 hours of supervision working with clients) and RPT-S. (additional 500 direct client contact hours). This doesn't take the place of clinical supervision. Click here for the RPT & RPT-S Supervision Contract. $65.00 per person, per hour. 6 month commitment, pay as you go. $100 per person, per hour. 6 month commitment, pay as you go.